Ben Jones took down the PokerStars $2,100 Sunday High Roller for a $64,110 prize. 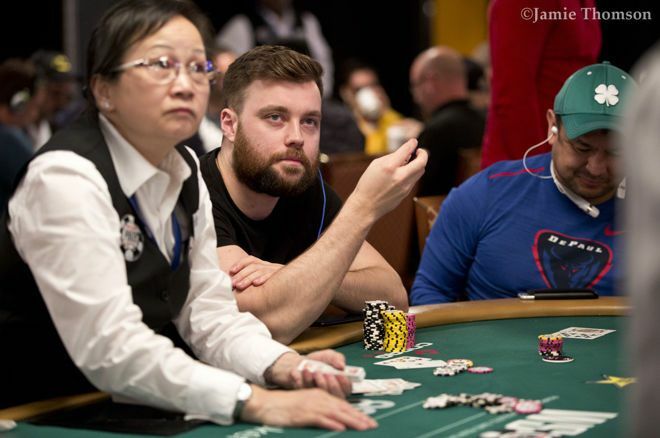 Jones topped a field of 159 in the $2,100 buy-in event and had to contend with a ridiculously tough final table that saw him lock horns three-handed with fellow Brit Patrick “pads1161” Leonard and Steve “Mr. Tim Caum” O’Dwyer. Leonard fell in third-place for $38,004 and Jones then dispatched O’Dwyer in second-place leaving him with $49,360 to console himself with. The $64,110 Jones banked is the fourth-largest cash of his career. His largest weighs in at $162,039, Jones’ reward for winning a $215 SCOOP High Roller in Sep. 2018. Damian “DamoWain” Wain also found himself in the winner’s circle after triumphing over a field of 396-players in the $530 buy-in Sunday 500. Wain got his hands on $36,069, the third-largest cash of his career so far. Ireland’s Dan “NukeTheFish!” Wilson was also at the final table, although his tournament ended in a ninth-place finish worth $3,279. Over at partypoker, the $30 million guaranteed POWERFEST series drew to a close and some of our players helped themselves to some big scores in the final events. Ben “bfzhang” Farrell took down the $109 POWERFEST 67-H: $150K Gtd Slow 8-Max for $32,880 and was joined on the final table by “MrNOOOnE” who busted in fourth-place for a $10,092 payout. There was also a final table appearance for Joshua “slayerv1fan” Hoesel in the $1,050 POWERFEST 68-HR: $500K Gtd Deep 8-Max, his sixth-place finish netting him an impressive $18,473. Two Union jack flags were spotted at the final table of the $5,200 POWERFEST 69-SHR: $1M Gtd Championship Event. “FMylife” crashed out in seventh-place for $36,735 with “reallygamble” busting in fifth-place for a $65,175 addition to their bankroll.